Editor’s Note: On August 18, The Inertia’s EVOLVE Summit will celebrate individuals from the surf and outdoor worlds that use their influence to make a positive imprint on the world. 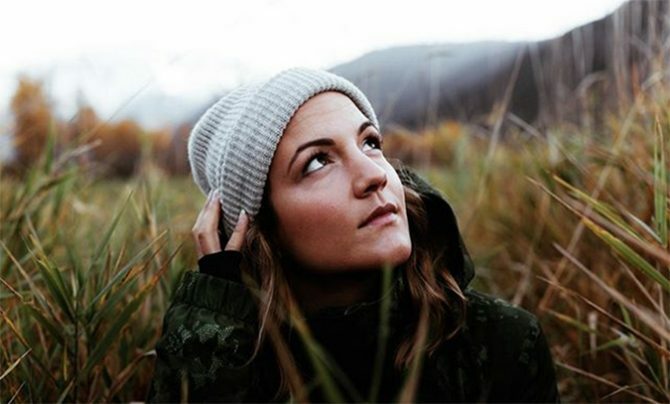 Professional snowboarder Elena Hight is working to make an impact on her generation. As a Protect Our Winters ambassador, she cares deeply about the environment we live in. Elena will be speaking with Surfrider’s Chad Nelsen on protecting the places we play at this year’s EVOLVE Summit. Get tickets now and enter code LASTCHANCE at checkout to receive $25 off until August 8th. As someone who has been lucky enough to make a living outside, as an athlete, protecting the places we play has become incredibly important to me. I’m very connected to how humans impact and change the environment, often times in a lot of negative ways. I believe that this mostly has to do with the throwaway mindset that we have developed. Our society has gotten into this idea that a culture of ease, of being able to buy and throw away, is some sort of status thing. For instance, if you have less you should have to work for all the material things you have. But as your status rises, more success means being able to access more things quicker, with less effort, and have the flexibility to throw away more things without having to reuse. Instead of taking old or damaged items and making them new again, we’re being taught to just discard and move on to the next best thing. That mindset to me is so influential in everything we do, from constantly constructing new housing developments on every piece of land available, even if they intrude on our wilderness, down to a the micro-decisions of buying plastic water bottles and throwing them away. Humans have a huge impact on the world. We live in a developed nation. We’re really lucky to be able to use resources our Earth provides to better our lives. But we have to do it intelligently and understand how broadly those choices impact the world we’re living in. We can see it everywhere, from our favorite parks and protected lands getting opened up to oil drilling to acres of forests being torn down for paper. Only to build things that are just going to be thrown away or trashed. Spending a lot of time outdoors, you see these effects so vividly. You see trash in random places along roads into the mountains, you see trash in the ocean, you see the smog in the air when you’re high in the alpine in different places around the world. These experiences have really driven me to learn more about climate issues and advocate for change as well. Individual change is really powerful. The little things we can do (like reusing and recycling) add up. But to make lasting change, that’s going to rapidly affect our world, those changes have to be made from the top down. Seeing corporations like Starbucks move away from plastic straws or cities banning plastic bags, those are great steps. And the biggest thing we can do individually to facilitate those changes at a higher level is to vote and to vote for people that are going to put policy in place that will help minimize that throwaway mindset. It’s become apparent to me that most people my age, who love to be outdoors, love the environment and want to protect these wild places really don’t want to get political and hence, don’t vote. But that doesn’t work anymore. I don’t like getting political either. But, sadly, protecting our environment has become a political issue. We’re the ones that are going to be living on this planet for the next 75 years. If we want to see it thrive and not become a garbage disposal of throwaway things, destroying the beautiful places we have come to love and cherish, we have to make sure our voices are heard. Get tickets for our inaugural EVOLVE Summit now and enter code LASTCHANCE at checkout to receive $25 off until midnight PT August 8th, while tickets are still available.